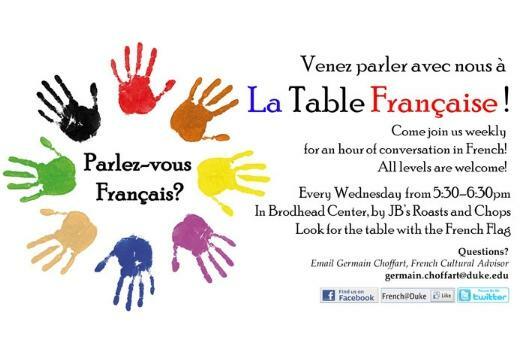 Come join us weekly for an hour of conversation in French! All levels are welcome! Every Wednesday from 5:30-6:30 pm in Brodhead Center, by JB's Roasts and Chops. Look for the table with the French Flag.